From two screenwriters who worked on the Step Up film franchise comes their debut novel--a road trip romance that begins with an unplanned flight layover in L.A. and turns into a wild adventure. “Layover” is a family drama that tugs at the heartstrings and features a sweet romance. While the plot is somewhat implausible, the family dynamics are something many of us can identify with on at least some level. Recommended for the romance lovers out there looking for a story with bite. Adrian Mole's first love, Pandora, has left him; a neighbor, Mr. Lucas, appears to be seducing his mother (and what does that mean for his father? ); the BBC refuses to publish his poetry; and his dog swallowed the tree off the Christmas cake. "Why" indeed. While it made me laugh out loud on occasion, this book was just not for me. I know Adrian is supposed to be clueless but he’s also obnoxious and most of the time I wanted to reach through the pages to choke him. His situation is not a good one, but I get the feeling he would be just as annoying even in the perfect home. I suppose the humor is just not my style. 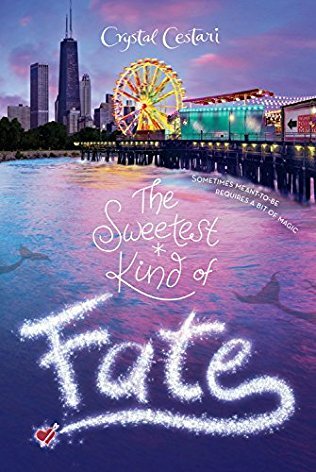 “The Sweetest Kind of Fate” is a fun follow-up to the original “Windy City Magic.” It is a quick and light read perfect for fans of magical realism. While there are some intense scenes in terms of magical creatures, there are very few curse words or sexual situations of any kind, making it a good choice for younger readers of the ya genre. Welcome to the Hazel Wood—the fiercely stunning contemporary fantasy everyone is raving about: Four starred reviews! “Thoroughly, creepily captivating.” —Kristin Cashore, author of Graceling and Jane, Unlimited “Will be your next obsession.” —Stephanie Garber, author of Caraval “Destined to be a classic.” —Kami Garcia, author of The Lovely Reckless “Breathtaking.” —Seanan McGuire, author of Every Heart a Doorway “Mesmerizing.” —Karen McManus, author of One of Us Is Lying “One of the best books I’ve read in years.” —Jennifer Niven, author of All the Bright Places Seventeen-year-old Alice and her mother have spent most of Alice’s life on the road, always a step ahead of the uncanny bad luck biting at their heels. But when Alice’s grandmother, the reclusive author of a cult-classic book of pitch-dark fairy tales, dies alone on her estate, the Hazel Wood, Alice learns how bad her luck can really get: Her mother is stolen away—by a figure who claims to come from the Hinterland, the cruel supernatural world where her grandmother's stories are set. Alice's only lead is the message her mother left behind: “Stay away from the Hazel Wood.” Alice has long steered clear of her grandmother’s cultish fans. But now she has no choice but to ally with classmate Ellery Finch, a Hinterland superfan who may have his own reasons for wanting to help her. To retrieve her mother, Alice must venture first to the Hazel Wood, then into the world where her grandmother's tales began—and where she might find out how her own story went so wrong. I’ve seen mixed reviews on “The Hazel Wood,” but I am in the loved it camp. Don’t go into it expecting some happy fairytale retelling. This is dark. Original Grimm’s Fairy Tales dark. Alice, the main character, is spunky and not always likable. In this case it is a trait that works well. The stories within the story are wonderful and creepy and vividly painted in words. I’d love for there to be both a sequel and a companion book filled with only the stories. Highly recommended for those who love the dark side of things! Greer MacDonald has just started as a scholarship student at the exclusive St. Aidan the Great boarding school, known to its privileged pupils as STAGS. STAGS is a place where new things--and new people--are to be avoided. And in her first days there, Greer is ignored at best and mocked at worst by the school's most admired circle of friends, the Medievals. 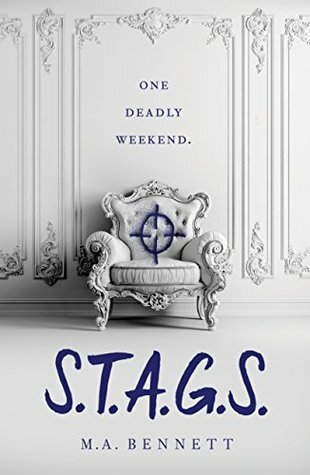 So, naturally, Greer is taken by surprise when the Medievals send her an invitation to a sought-after weekend retreat at the private family estate of their unofficial leader, Henry de Warlencourt. It's billed as a weekend of "huntin' shootin' fishin'." As the weekend begins to take shape, it becomes apparent that beyond the luxurious trappings, predators are lurking, and they're out for blood. OPTIONED FOR FILM BY FOX 2000 AND CHERNIN ENTERTAINMENT--WITH HUNGER GAMES CO-WRITER TO ADAPT! It took me about a third of the book to get into the story, but once I did, I found it to be quite a good thriller and a clever commentary on current events. It’s best read on a rainy night, which is what I did. Be prepared for some strange nightmares! I wish I could say more but anything other than what’s already in the blurb would be a spoiler. Had I written this review as soon as I finished “The Visitors,” it would have been three stars. I’m glad I waited, because this is the sort of book that sticks with you and chills you to the bone whenever you think about it. It isn’t fast-paced, and honestly some of the scariest moments come when you identify with the loneliness of Marion. Quite a bit of it is simply a slice of life type story with bits of the macabre tossed in. I really don’t want to spoil anything. If you are up for a slow-burn horror/ thriller, this is highly recommended. Caution: There are some animal deaths, though none particularly graphic.